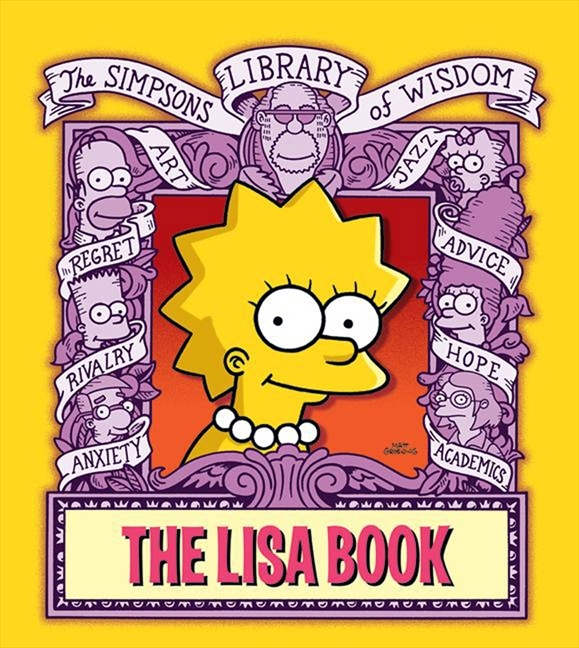 The Lisa Book is was released in hardback, as part of the ongoing series: The Simpsons Library of Wisdom. Whether she's extolling the virtues of vegetarianism and the global village, raising awareness about the world's moral and social ills, or simply playing with her Malibu Stacy doll and dreaming of ponies, Lisa Simpson is a role model for the 21st century! Discover Lisa's lifelong ambitions, gather snappy answers to environmentally insensitive questions, uncover "the Truth" by logging onto her Internet blog, and follow along as she solves a real mystery. From the benefits of being Teacher's Pet to the secret correspondences of Commander–in–chief Lisa's presidential administration you will explore the inner workings of one of America's most progressive eight–year–old minds.